Nearly all — 96 percent — say it is somewhat or very important for adults in this country to have a degree or professional certificate beyond high school. Most — 93 percent — say that it will be just as important or more important in the future to have a degree or professional certificate beyond high school in order to get a good job. Fewer than one in five — 19 percent — are confident that having only a high school diploma can lead to a good job. 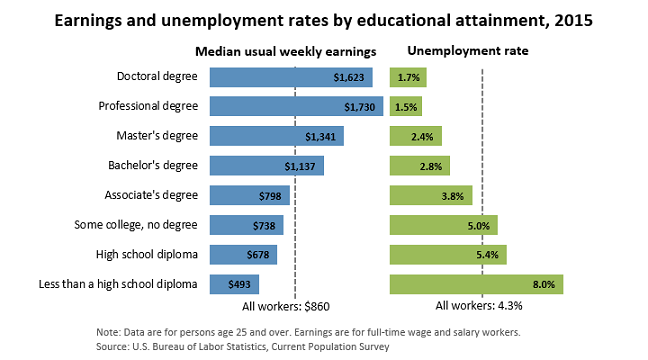 Data from the U.S. Department of Labor seem to validate these beliefs: Workers with college diplomas earn on average $459 more a week than those who hold only high school diplomas. Graph courtesy the Bureau of Labor Statistics. 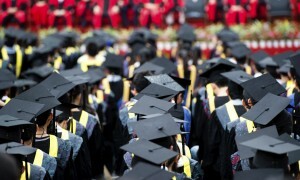 The ticket out of poverty, therefore, seems to be earning a college diploma. 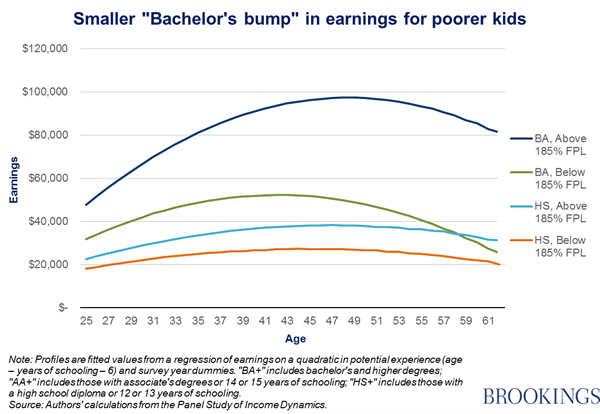 Economist Brad Hershbein, a nonresident fellow of the Brookings Institute, provided a more sobering look at the relationship between one’s achieved education level and lifetime earnings. Pulling data from Panel Study of Income Dynamics, Hersbein and his colleagues found that the payoff for a college degree is much less for those who grew up poor than for those who did not. College graduates from poor families were found to earn 91 percent more over their careers than high school graduates from the same income group. But college graduates from upper-middle-class families earned 162 percent more over their careers than those with just a high school diploma. Graph courtesy the Brookings Institute. FPL is short for federal poverty level. You can read more about the smaller “bachelor’s bump” here. Why the difference? Researchers point to disparities in family resources during childhood and the colleges that low-income students attend. Children born to highly educated women receive more of their parents’ time and money than those born to the less well-educated women. They also point out that poor students are more likely to attend lower ranked colleges than rich students. The researchers explicitly assume that this means poor students are receiving lower quality education than their richer peers. 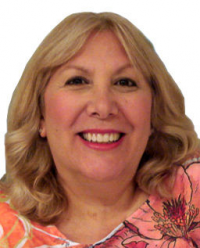 During the course of my academic career, I have had the opportunity to teach at colleges and universities from different tiers, including the Ivy League, private liberal arts colleges and large state universities. I discovered that there were students at the lower ranked programs who were easily as bright, motivated and hard-working as those in the Ivy League, and students at all levels who were so bored and disenfranchised from their educations that one could only assume they were there because their parents insisted. Working-class students are more likely to spend too much time studying instead of socializing and making connections. My interpretation of the disparities I saw in student achievement — in school and beyond — jibes most closely with that offered by Lauren Rivera, an associate professor of management at Northwestern University, in her recent book, “Pedigree: How Elite Students Get Elite Jobs.” Rivera points out that working-class students are more likely to spend too much time studying instead of socializing and making connections. The message they hear while in high school and college is “be smart, work hard and get good grades.” But students from high-income households know that isn’t enough. Elite colleges weigh extracurricular activities heavily in admissions decisions. These activities generally fall into three categories: creative (playing in the school orchestra), athletic (soccer, basketball) and volunteering activities (civic outreach, Youth Leadership). Other boosts include business intern positions and research assistant experience in science labs. Because working-class students typically don’t spend time cultivating these additions to their application dossiers, they hurt their chances of getting into elite schools. If you’ve ever had to pick people for your group or team, chances are you asked your friends to recommend people they know. In much the same way, nearly 80% of the positions available are usually filled through personal referrals. Rivera reports that recruiters repeatedly told her they looked for people who could be their friends as well as their colleagues. One compared hiring to “picking a team on the playground growing up”; another described his firm as “a fraternity of smart people.” To put it more baldly, humans tend to be tribal and egocentric; we feel more comfortable with others who look like us, and the more time we are going to spend with others, the more we want them to look, dress and act like us. I discovered this at the first psychological science conference I attended as a graduate student. I had taken care to look “professional”: I wore a grey suit with a white blouse and black pumps, French braided my hair and made sure my makeup and manicure were just so. I felt like Moses parting the Red Sea as I made my way through the crowd. A senior colleague kindly took me aside to tell me, “You don’t look like an academic. You look like a banker” — which is what I had been for many years before deciding to pursue a PhD in psychology. I looked around and noticed that few of the women wore suits (and mine was far more formal than the ones they wore), none of them wore makeup or nail polish, and most wore black, heavy-framed glasses. The most important quality recruiters are looking for is “fit”: for all their supposedly rigorous testing of candidates, they would sooner choose an easy-going person with a second-class mind than a Mark Zuckerberg-type genius who rubs people up the wrong way. I would add that this emphasis on “fit” applies to all facets of education and the workplace. Local communities often recruit from local colleges and universities, and recruiters are just as likely to prefer to hire graduates with strong connections to peer groups and alumni. The difficulty is that participation in structured extracurricular activities is a luxury that working-class students often cannot afford. Many of the working-class students I taught worked during the school year to help defray the costs of their college education. This puts them at a disadvantage in securing jobs after graduation. And that disadvantage too often leads to reduced lifetime earnings.